Passing the New Hampshire written exam has never been easier. It's like having the answers before you take the test. Currently, the New Hampshire Division of Motor Vehicles (DMV) only offers appointments for road skills tests, and your must make your appointment in person or by phone. 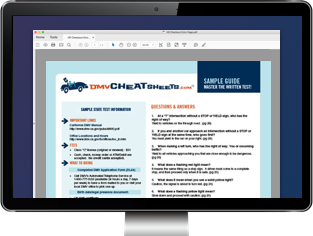 The DMV requires you to wait in line for most other driver and vehicle related services; however, there are a few you can complete online. A commercial driver license (CDL). Typically, appointments for your driver's license or motorcycle skills test are scheduled at the DMV on the same day you go to take and pass your written exam. However, if you didn't get to schedule your appointment, you can do so by calling (603) 227-4020 or visiting your local DMV in person. To schedule your CDL skills test, call (603) 227-4000.